Ready to feel small? 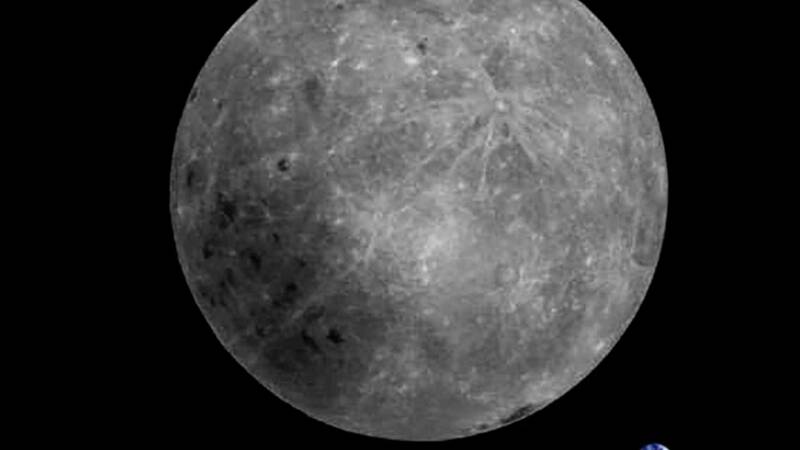 A striking new photograph taken by China's Longjiang-2 satellite affords a rare view of the lunar far side — the side that's impossible to see from the surface of our planet — with Earth visible in the background as a tiny blue marble. "Few pictures have been taken that show the entire far side of the moon, so we're pretty proud to have helped take this picture," Cees Bassa, an astronomer at the Dwingeloo Radio Observatory in the Netherlands who helped process the image, told NBC News MACH Friday in an email. The eye-popping portrait was taken Feb. 3 and beamed back to Earth the next day. 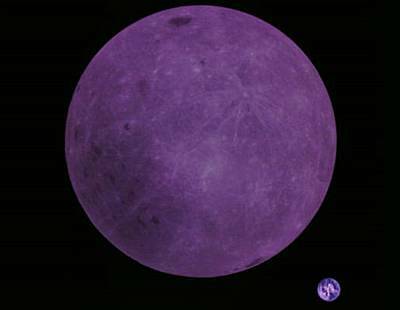 Because the satellite's camera lacks an infrared filter, the colors were distorted in the original photo (below). But the astronomers who processed the image created the color-corrected version seen above. "We edited it to balance the colors, and make the moon greyscale," Tammo Jan Dijkema, a software engineer at the C.A. Muller Radio Astronomy Station, which manages the Dwingeloo Radio Observatory, wrote in a blog post. Longjiang-2, which has been circling the moon since last June, is a key part of China's Chang'e 4 mission, which successfully placed a lunar lander and rover on the moon's far side for the first time ever Jan. 3. In concert with Queqiao, a radio-relaying probe in orbit around Earth, Longjiang-2 has been providing the radio link between the Chang'e 4 lander and mission controllers in Beijing. The Chang'e 4 mission is studying a part of the moon that previously had been explored only from afar. It has taken a series of dramatic photos of the surface and successfully sprouted a series of seeds that became the first plants ever grown on the moon. Longjiang-2, which measures 20 inches across, is expected to operate until August. Dijkema said he expects to snare even more photos of the moon from the Chinese satellite in the coming months.